Ebrahim’s unit, consisting of Perumal, Girja “Sunny” Singh and Natoo Babenia, first successful attack, as an uMkhonto weSizwe (MK) unit was the Victoria Street Bridge, which the unit blew up on the evening of 21 March 1962. They prepared the explosives at Babenia’s house. Perumal and Singh placed it on the tracks along Brook Street, while Ebrahim and Babenia worked on the cable on the Victoria Street Bridge. This was the main South Coast line that ran from Durban to Rossburgh and had high traffic volume. The attack also damaged the signalling gear. The unit also targeted the office of A.S. ‘Khosaan’ Kajee. 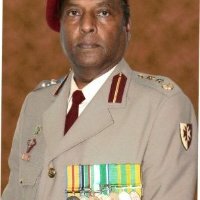 According to Perumal, Ebrahim told them that ‘Kajee was a dog who had to be taught a lesson.’ Billy Nair, a MK Commander, explained that Kajee was targeted as he ‘was looked upon by the Indian people as a collaborator’ for ‘proudly taking the salute in Pretoria on Republic Day … not jointly with the NP … He was in a separate (Indian) stand and hoisted the Republic Flag. This picture was posted in his office. The bombing of his office was meant to deter others from participating in apartheid structures. Ebrahim, Perumal, Babenia and Singh went to Kajee’s office in Alice Street on 14 October 1962. Perumal and Babenia stood guard in Alice Street while Ebrahim and Singh went into the passage leading to Kajee’s office. After a few minutes Ebrahim and Singh came running out of the passage and the four ran in different directions. As pre-arranged they met an hour later at the corner of Commercial Road and Soldiers Way. The attack, Ebrahim explained had been aborted because they were disturbed by the night watch. They decided that since the explosives had been prepared, they would ‘blow up a train.’ They caught the 8:45 pm train to Effingham, jumped off at Churchill Station, and set off the petrol bomb near Duffs Road. The empty cabin caught on fire but there were no casualties. The unit was eventually arrested after a fellow MK member, Bruno Mtolo, turned traitor. Eventually Perumal went into exile in London and later became a medical doctor.